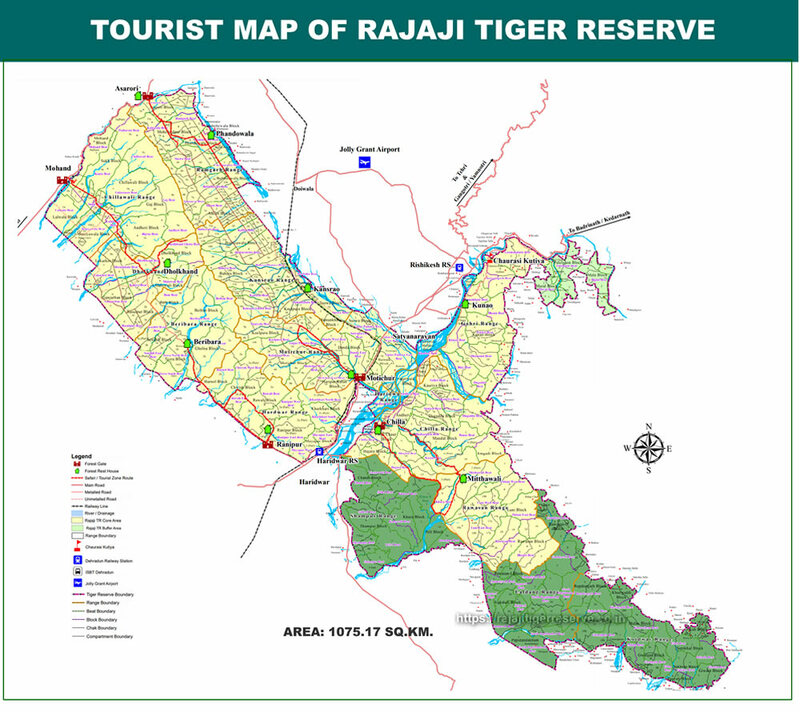 Rajaji Tiger Reserve inherited its name from the Rajaji Sanctuary, which was one of the constituent units by the amalgamation of which the National Park was created in 1983. The Park was formed by the amalgamation of Rajaji Sanctuary, Motichur Sanctuary, and Chilla Range of Pauri Forest Division. #Rajaji #Sanctuary was named after C. Rajagopalacharilovingly known as Rajaji, the first Governor General of independent India, as it was on his behest that the sanctuary was created. It is said that when Rajaji, the newly appointed Governor General, was invited for a hunt he was so impressed by the biological diversity and plethora of wild animals in the area that instead of hunting, he suggested the creation of a wildlife sanctuary in the area. The western part of the Park consists of the Ramgarh, Kansrao, Motichur, Hardwar, Dholkhand and Chillawali Ranges. The erstwhile forest divisions from which Rajaji National Park was created and their areas are listed below. Forest of Rajaji teem with insects who contribute very significantly to the ecology of the area. Spiders, Beetles, Termites and scores of other insects can be seen and heard inside the Park. The Park is also rich in butterflies. The reptilian fauna of the Park is representd by various species of lizards, snakes and tortoise. The area is also known for its rich population of Pythons, Cobras and King Cobra. The rivers of the Park are rich in aqua fauna like Golden Mahaseer and other fishes.